August 2011’s Young Company production was Heartbreak Beautiful. AJ is the best athlete St Bart’s Comprehensive has ever seen; his brother, Dan, wants to push him to the limit. Amber has other ideas: desperate to settle down with AJ, have kids, get fat and watch daytime TV. AJ, however, has only got eyes for Ellie, a geek with a heart of gold and a lethal set of dental braces. But the course of true love never runs smooth, and geek-king Oscar is determined to pair up with Ellie himself, no matter what the cost – even if it means breeding an army of killer bird-bees. 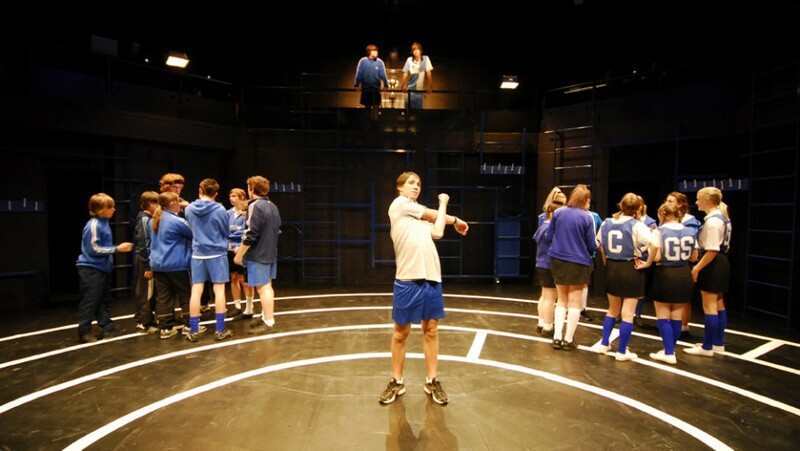 By Cornish writer, Christopher William Hill and with a newly commissioned score by Plymouth Music Zone, the Young Company returned to the Drum in this fast-paced comedy about life, love and sport, and the perils of snogging with braces. The Young Company Shows are open to young people ages 13-25. Membership is £6 a year.